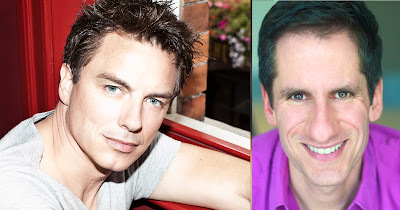 International theatre and TV star John Barrowman MBE returns to perform in London in Seth Rudetsky’s Broadway @ Leicester Square Theatre concert series for 3 intimate performances produced by Mark Cortale. Seth Rudetsky is a self-confessed walking talking Broadway search engine who lives and breathes The Great White Way! A musician, stand-up comic, actor, writer, and radio host, his career includes performing on Broadway, writing three books, penning a weekly Playbill.com column, and playing piano in more than a dozen hit musicals, including Ragtime, Les Miserables, and The Phantom of the Opera. Best known to US audiences as the daily Broadway host of Sirius/XM radio, he has also been nominated for a Grammy Award - for his recording of the musical Hair - and was three times nominated for an Emmy Award - for his writing on The Rosie O’Donnell Show as well as winning the title “Funniest Gay Male in New York” for his stand-up comedy.